The Government Commercial Function can only be a success if the people within it work together and with all professions across the Civil Service. Collaboration is what functional working is all about. Staff connecting with colleagues in the same discipline in other departments in order to share good practice, build professional expertise, and create greater resilience. It’s also about collaborating with colleagues in other professional disciplines. We’ve supported policy and operational colleagues to deliver great services that are making a real difference in communities across the country. I saw an example of this when I visited commercial teams in Sheffield a few months ago. They described the Risk Protection Arrangement (or RPA) that was initiated in the education sector to address the spiralling cost of commercial insurance for academies. With the rapid expansion of the academies programme, the Department for Education (DfE) needed to find a more effective and efficient way of providing insurance. A cross-functional team, led by the DfE’s Commercial Division, designed and eventually launched the RPA in September 2014. The RPA response to major storms, floods and school fires has been exemplary. RPA membership is voluntary and now represents 63% of the academy sector and is on course to deliver £301 million in savings by August this year. But the benefits don’t end there. Even non-RPA schools are benefiting from reduced insurance premiums as commercial insurers seek to up their game in an attempt to compete with the RPA. Working together, cross-functional teams that include commercial staff can transform services. The key word is ‘together’. Early involvement of commercial, with everyone drawing on the knowledge and skills of each team, is a great recipe for success. This is the approach we need, not only when shaping and delivering services, but also when responding to a crisis. The case of Carillion is a key example of this. The company was one of government’s major suppliers and it was in our interest for them to succeed in finding a solution - and it remains regrettable that they could not. But our first priority was to protect vital public services. Commercial and operational teams came together from across government and the wider public sector, including the Cabinet Office, Ministry of Justice, Department of Health, the NHS, Department for Transport, DfE and more. Large numbers of staff worked over a period of months to put in place robust contingency plans, while keeping in close contact with Carillion. Our planning ensured that key public sector services have continued virtually without skipping a beat. That achievement came through hard work and effective cross-functional collaboration. I’m seeing more examples of this across the Civil Service, but we still have more to do. So, if cross-functional collaboration is so important, what can you do to make this happen? 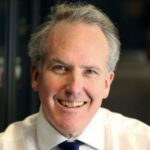 As a starter, I would encourage all civil servants to find out a bit more about the commercial team within your department, how it can support your work, and how you can contribute to making the Civil Service more effective in its commercial activities. Over the coming months, we’ll be running local events to raise your commercial awareness, and promoting the free online Commercial Awareness course on Civil Service Learning. This course is suitable for all civil servants and takes two and a half hours to complete. 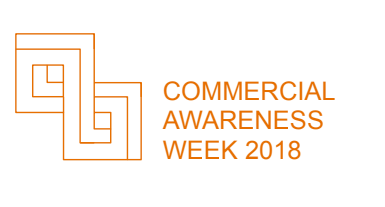 Commercial teams are running a Civil-Service-wide Commercial Awareness Week from 7 to 11 May, and you’ll hear more about activities planned in your department. I’ll be running a 45-minute commercial awareness webinar during the week, which will be repeated two weeks later. Just click whichever date you can do - either Tuesday 8 May at 1.15pm, or two weeks later on Tuesday 22 May at 2.45pm. Once registered, you’ll be sent your log-in and dial-in details, please save these in your calendar. We can all make a contribution to delivering a great commercial function. I hope you will take the time to learn more about the role you can play.